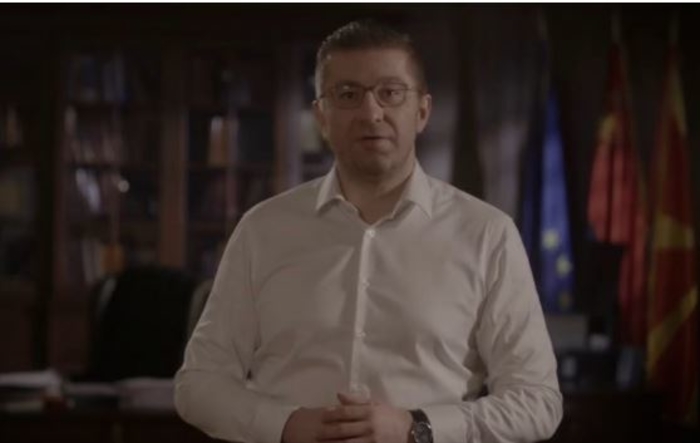 In a video address, VMRO-DPMNE leader Hristijan Mickoski warned that only holding early elections can prevent an economic disaster in Macedonia. Infrastructure investments are not even at half of projections. They can’t work, they don’t invest, the economy faces collapse. No new factories are being built. The Government stopped mentioning its plans to build the gas pipeline network, I doubt work will begin in five years from now. Meanwhile the people are suffocating. They lie, they hike taxes and still won’t invest, Mickoski warns in his video address. The opposition leader focuses on the overall tax increases which the left wing Zaev Government has put in place, higher gas prices and the tax on bank deposits. All data point to a coming economic disaster. You know it. The don’t know what they are doing. We have an obligation before our children, Mickoski says in the video address. VMRO-DPMNE demands early general elections to be held along with the presidential elections in late April and early May. The ruling SDSM party still hasn’t responded to the request.